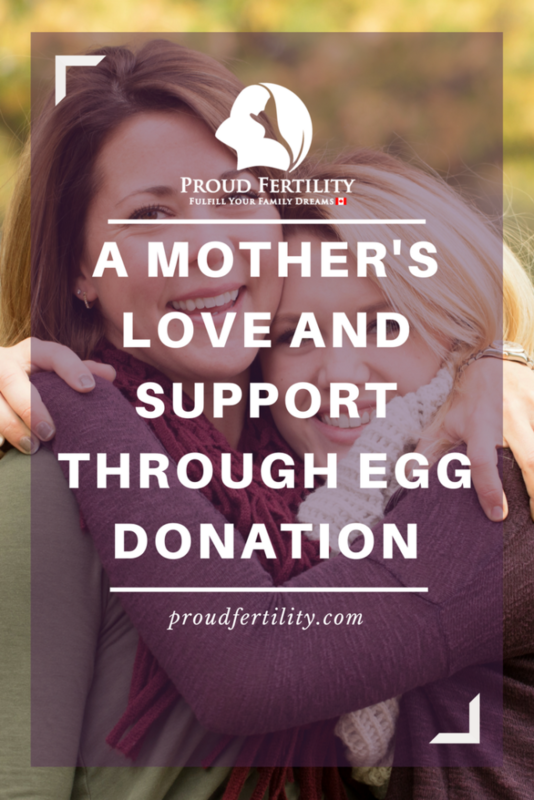 To me, it was a very easy choice to have my mother as my support person during my egg donation, not just for the retrieval itself, but for the whole 9 days we spent in another city. We started the trip with lots of walking and doing many things. As I continued my injections and could really start to feel my ovaries expanding with follicles, I started to slow way down. Never once did she complain about how slow I️ walked, or how I️ grunted almost every time I sat down. Instead, she supported me and cheered me on! She even helped me film a video of my injections so that other egg donors could learn from my experience. When the day of the retrieval came she was just as excited as I was, she knew how much this donation meant to not just my Intended Parents but to me as well. She took lots of photos of me in my goofy blue paper gown and hair net. When the retrieval was done, I was in some seriously rough shape, the medication didn’t react very well with my body and I was vomiting for a solid 2 hours. Of course, my mother was there the whole time helping me sip Gatorade and rubbing my legs. As a mother myself, I know how hard that must have been for her. Seeing your child in pain that you cannot fix is such a helpless feeling, but she did the absolute best she could. When we got back to the hotel she lovingly made me soup and warmed up my heat pack for my aching abdomen whenever I asked. She even let me have the entire king bed to nap in so that I was nice and comfortable. I knew I was in the best hands possible. There are few things that can compare to a mothers love, and oh how lucky I was to have hers for such an important part of my journey. Want to receive donor eggs and begin your journey to becoming a parent? Ready to learn more about becoming an Egg Donor? Complete an Egg Donor Interest Form and we will be in touch! Do I have enough eggs to give away? Will I run out?